On the heels of explosive revelations that Iranian operatives – allegedly under direct orders from Tehran – plotted to carry out deadly attacks on dissidents across Europe, U.S. intelligence is on heightened alert of similar Iran-orchestrated operations, according to several analysts and insiders. In August, the Department of Justice arrested two Iranians suspected of spying and “acting on behalf of the government of the Islamic Republic of Iran by conducting covert surveillance of Israeli and Jewish facilities in the United States, and collecting identifying information about American citizens and U.S. nationals.” In particular, the Iranians targeted those involved with the Mujahedin-e Khalq (MEK) – also referred to as the National Council of Resistance of Iran (NCRI). The MEK has long been deemed a terrorist organization by Tehran. It was also designated a foreign terrorist organization by the U.S. State Department in 1997, but was removed from the list in 2012. Eight years earlier, then-U.S. Secretary of Defense Donald Rumsfeld designated the group as civilian “protected persons” under the Geneva Convention. One man identified as Ahmadreza Mohammadi Doostdar was a dual national with U.S. and Iranian citizenship, accused of conducting illicit snooping on a Jewish organization in Chicago. The other, Majid Ghorbani, is an Iranian citizen and California permanent resident, who was arrested after allegedly taking photos at an Iranian opposition rally held in New York, in September 2017 and passing them on to Iranian intelligence. The indictment against Ghorbani says he was involved in an operation to kidnap and kill Ali Safavi, a leading Iranian opposition figure. “I remember him. 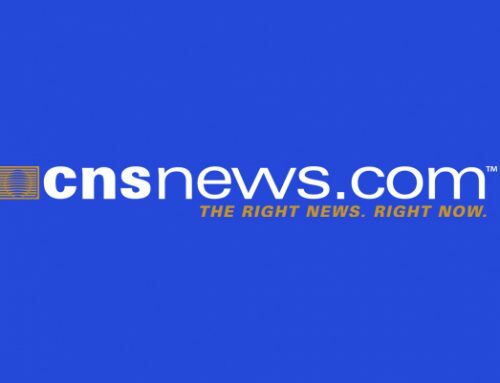 He came to the rally and upon seeing me, asked why I don’t go to California to visit anymore,” Safavi, a senior official with the NCRI, told Fox News. Safavi says Ghorbani was a waiter at a southern California restaurant he frequented, which is where they first met several years ago, and he enthusiastically joined in on conversations regarding condemnation of the Iranian regime. Doostdar is alleged to have gone to Iran himself, and made contact with Ghorbani later in the Los Angeles area, paying some $2,000 in cash to take photographs at the MEK New York event. Many other U.S. intelligence experts and analysts beg to differ. Under increasing pressure from the Trump administration, concerns are growing that these arrests are only the beginning, amid more questions whether there is a wider underground network at play, intent on silencing critics. One former CIA operative still entrenched in Middle East intelligence work told Fox News that Iran remains “one of our top national security concerns and challenges,” and said the intelligence community has become increasingly “engaged with the Iranian threat,” both in the U.S. and abroad. 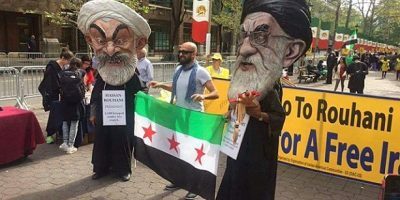 Protestors outside the UN oppose the Iranian regime’s role in the bitter Syrian war and support of dictatorial President Bashar al-Assad. The full slate of U.S.-imposed Iranian sanctions will kick in on Monday, and analysts are anticipating some pushback from Tehran and their supporters in the West. James Phillips, a senior research fellow for Middle Eastern affairs at the Heritage Foundation, said the Iranian activity is hardly new – and pointed out that during the 1980s, Iran relied at least partly on Hezbollah surrogates to strike at targets in European countries, particularly in France, that Iran deemed to be supporting Iraq in the Iran-Iraq war. Gen. Qasem Soleimani, chief of the elite Quds Force of Iran’s Revolutionary Guard, is said to be helming a broad espionage web not only across Europe; but globally. Israel intelligence sources told Fox News they have between 10,000-15,000 recruits on foreign terrain. “The IRGC Quds Force, which organizes and carries out many of these operations, even has a special directorate for operations against the US and other Western countries,” said Jonathan Ruhe, Associate Director of the Jewish Institute for National Security of America (JINSA) Gemunder Center for Defense & Strategy. Earlier this year, Congress heard testimony from a panel of experts of former U.S. officials about Iran’s “sleeper cell” networks in America. 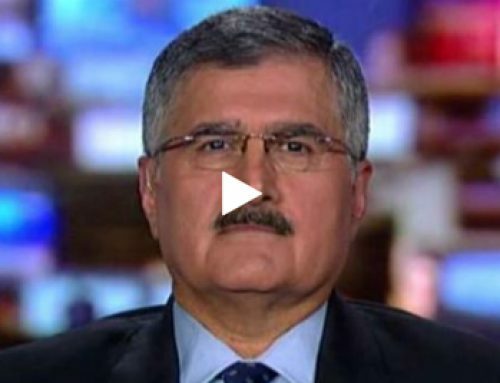 But another key U.S. intelligence insider told Fox News that attention on Iranian activities isn’t hugely elevated, mostly due to the extremely harsh stance the Trump administration has taken on Iran – which has prompted them to somewhat back down. According to an Israeli intelligence insider, Israel has come to perfect the ins and outs of understanding Iran’s espionage activities. Israel picks up on what Iran is planning in Europe, and passes that information on to relevant authorities. The source noted that Iran typically recruits dual citizens already living abroad – and will either bring them to Tehran under the guise of visiting family. There they receive formal training, as agents, or are alternatively paid them for small missions like photographing targets and tracking in western nations without officially designating them operatives. Operating on information given to them by Israeli intelligence, European security services on June 30 were able to stop an Iranian native and diplomat, Amir Saadouni – potentially saving the lives of many. Saadouni and his wife, Nasimeh Naami, based in Brussels, were on their way to a conference near Paris – a potent explosive nestled her bag – with the alleged intention of detonating the device at a rally attended by thousands of anti-regime activists belonging to the MEK. The event was also attended by Trump’s personal lawyer and former New York City mayor, Rudy Giuliani, who has long been a vocal champion of the organization. 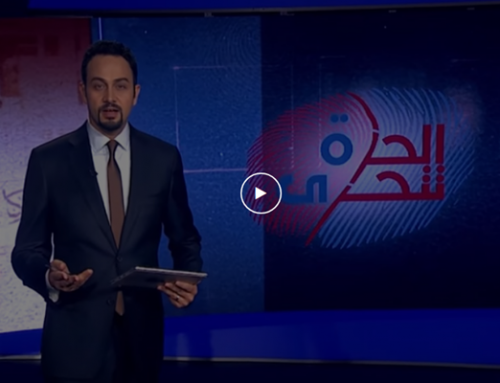 Saadouni has for years said to have been acting as a secret agent and for years reporting back to an Iranian intelligence leader operating under the alias Daniel, but later identified as Assadollah Assadi. According to the Wall Street Journal, Saadouni had been living in Europe for around ten years, having been granted political asylum given his association with the MEK, before becoming an EU citizen. Those who knew him told Fox News Saadouni was never a member of MEK, but portrayed himself to be a “sympathizer.” He otherwise fit in with the European lifestyle – listening to Pink Floyd, attending occasional meetings and protests, but never infiltrating the inner circle of MEK and supporting from a distance – thus never suspected of nefarious double dealings. Assadi now stands accused of being a covert chiefdom in Iran’s Intelligence Ministry, using the cover of being a diplomat at the Iranian Embassy in Vienna, Austria. The Israeli tip had enabled authorities to keep the diplomat under surveillance for some time. Had he remained there, he would have received immunity from prosecution. But a venture over the border to Luxembourg gave German police the path to move in and make an arrest. French police last month arrested 11 people and froze the financial assets of the headquarters of a Shiite Muslim center after conducting a “prevention of terrorism” raid, raising questions of the center’s direct links to Tehran. Police raids also took place on homes and offices of possible Iranian agents in Germany in January. This week, Denmark police also announced they, too, had thwarted an Iranian scheme in September to murder a political contrarian belonging to an Arab separatist movement, ASMLA, which champions an independent Arab state in Iranian. An arrest of an Iranian suspect and possible spy was made two weeks ago. In June, two Iranian diplomats were expelled from the Netherlands after an opposition Iranian activist was gunned down, and Albanian authorities in March arrested two Iranian officials for allegedly undertaking surveillance on MEK exiles during their Nowruz (New Year) festivities. Iran’s Foreign Ministry has vehemently denied involvement in all aforementioned schemes. Yet the notion that Iranian-orchestrated attacks were devised on European turf has had a detrimental impact on the European support for the JCPOA, better known as the Iran Deal. The controversial agreement, of which the U.S. pulled out earlier this year, still enjoyed prominent support from EU governments who tried desperately to salvage it. But amid the wave of recent attacks, such sentiment is said to be changing.